Selfpublishing.com has the name every author solutions service would love to have got their hands on. Company founder Ron Pramschufer, a veteran of the print and publishing industry and author of the widely popular self-publishing guide, Publishing Basics – a Guide for the Small Press and Independent Self-Publisher (Navigating the Self Publishing Minefield), proved to be the first to spot the huge potential of the Internet as a communications tool in 1997. Selfpublishing.com actually started out as RJCommunications (http://www.rjcomm.com/), before evolving into http://www.booksjustbooks.com/, and finally in 2009 into www.selfpublishing.com/. Though each incarnation of the original company is still in operation, Selfpublishing.com is now the recognised and dedicated wing for authors looking for self-publishing services. The other two company brands focus on the corporate print sector for publishers and business as well as Resell Book Printing. Selfpublishing.com is based in New York City and the core principal and by-line of the company is ‘Helping Authors Become Publishers’. This is certainly demonstrated by the company’s dedication to provide online guidance, two-way discussion and a website crammed with educational information on self-publishing. I don’t think I have every come across an author solutions service so committed to providing an insight into the strengths as well as the pitfalls of becoming a self-published author. In fact, Pramschufer’s book, Publishing Basics, is available as a free e-book for download on their website. When impresses me most about Selfpublishing.com is their openness to disclose a full listing of their key staff and detail their experience in the print and publishing industry. If there is one thing poor author solutions services all have in common, it is a complete lack of experience in the industry. Selfpublishing.com lists amply skilled managers and staffers from Abbeville Press, Alfred A. Knopf, iUniverse, Doubleday Publishing, Random House, Modern Publishing, and McGraw-Hill Publishing with careers in Print, Design, Graphic Art, Marketing, Sales, Book Project Managing, Web Design, Researchers and Book Coaching. 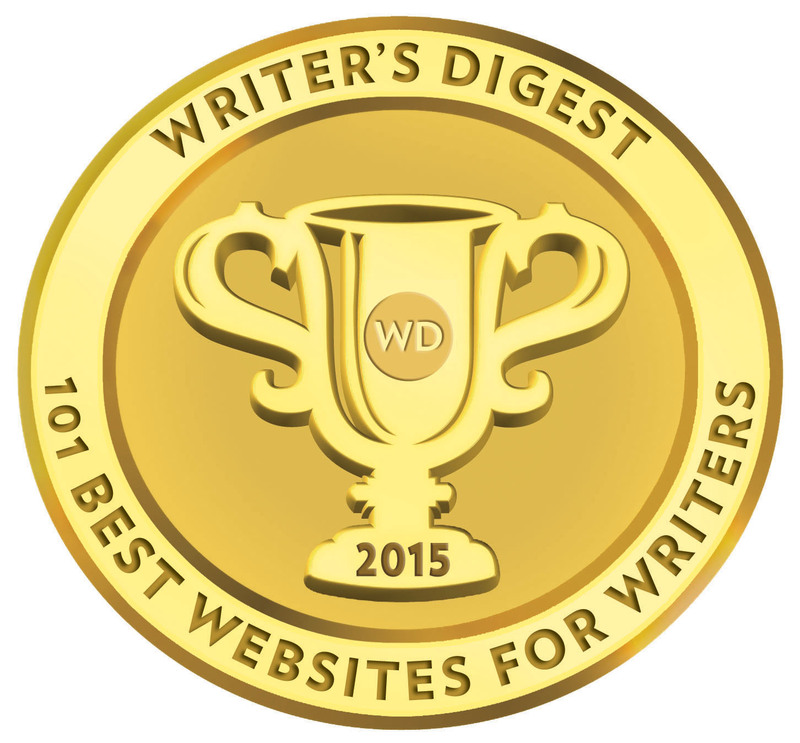 The list of credentials would make many medium-sized independent publishers envious. It is important to emphasise at this point Selfpublishing.com are not a publishers, nor do they present themselves in any way as publishers. 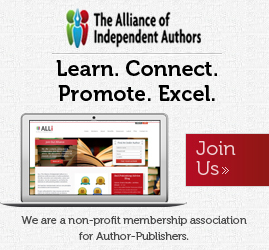 What they do and provide for authors is in their company by-line. They make authors publishers. Selfpublishing.com fit more neatly into the group of author solutions services I term DIY Printer/Publishers, like Lulu, CreateSpace and York Publishing Services. There are no tailored publishing packages on offer here, but rather a menu of individual or collection of services appropriate for what a particular author may be looking for to produce, publish and market their books. It is why they break one of my rules regarding the presence of books on the main website page. But then, Selfpublishing.com do not profess to sell books—rather they give authors the education, guidance, means, tools and services to do exactly that—sell their books. That said, there is a link to the online bookstore at http://www.justbookz.com/ and that is presented much in the way you will expect to see any good online bookstore. It features many of the books by authors who have used Selfpublshing.com’s services as well as the listings of micro and small independent press publishers. Selfpublishing.com approach the process with authors in four key steps—education, preparation, book printing, and finally marketing and distribution. In this regard, I am going to break with normal tradition in these reviews and follow the allocated four steps Selfpublishing.com have adopted as the model of business for authors using their services. That way, I can give a better account and assessment of the services they have to offer and how they will be suit authors considering Selfpublishing.com as a serious option for their book project. The Publishing Basics free e-book is the core of step one, but that also goes along with a highly informative website full of candid information on self-publishing, including their online FAQ pages, the Publishing Basics Newsletter, links to their own radio podcasts and articles on avoiding the pitfalls of self-publishing and vanity publishers. The company are also contactable through email, question forms and direct telephone lines. 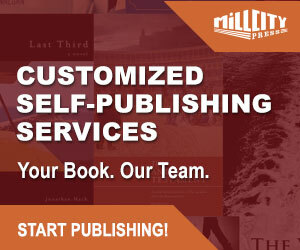 Selfpublishing.com presents the author with the option of using editorial services if they see their book as more than just for family and friends. I tend to strongly concur with the advice provided regarding what level and expense should be afforded to editing services at this stage of a book’s inception. At the very worst, an author can use a combination of MS Word and the input of an academic friend versed with some basic editorial skills, and at best, a full edit of the book by a professional editor. Selfpublishing.com are pretty much in line with market costs per word, with a basic proofread of a 200pp 80k book coming in at $800, rising all the way to a full substantive edit at $1360 for the same book. These are base starting prices dependent on the amount of work needed. The proofread looks a little higher than I might expect and the substantive, if anything, a little lower. I’d have expected a substantive edit to come it at $2000+, but again, these are starting prices. Quite why per word quotes are given, and described as ‘starting’, puzzles me. The either are per word, or they are not! Selfpublishing.com provides free templates, direction and guides on designing internal layout with MS Word, and other useful design articles. They provide a full breakdown of individual design services of anything the self-publishing author could possible need from single barcodes, registered to the author or their imprint name at $25. They are recognised as an official selling agent of Bowkers, the national ISBN agency. The following is just a sample of some a la carte services at the design stage. The author can of course supply print ready files to Selfpublishing.com without using any of the editing or design services. Whether the author does or not, all files remain the property of the author to take away unlike so many other author solutions services. (If an author uses the design and layout services available, they do have to pay a fee of $25 to get them on a CD) Full listings of all design services are available here. As industry print veterans, this is the area I expected Selfpublishing.com to really excel. They didn’t. Our standard 200pp book, perfect bound paperback, four colour cover, black and white text interior with no internal images is the example we have all grown to know and love in these reviews. I punched the detail into Selfpublishing.com’s online price calculator, bearing in mind the minimum print unit option is 100 units and these were the results. TOT – $627.70 plus $100 admin charge on all print jobs! TOT – $2572.72 plus $100 admin charge on all print jobs! It would help if Selfpublishing.com explained that the ‘admin’ charge is for print set-up, rather than casually describing it as an ‘admin’ charge. Customers don’t like administration charges. The customer perspective will always be – if I don’t see it, and you don’t directly say it – then I’m being charged for something I can’t see or qualify. It is still not made entirely clear whether the $100 admin on print jobs is included in the calculation, or is an extra. I can only take it from the widget and terminology that it is extra to the unit and total quote. The second quote is based on litho not digital—the cut off I have explained elsewhere recently in POD versus Litho has now dropped to 400 – 500 units. The digital POD unit price was actually a little higher. LSI (Lightning Source) come in at under $4, CreateSpace, marginally more than LSI, and that is not having to order 400 to 500 units or even 100 units per print run. This was one result I just wasn’t expecting from Selfpublishing.com at all. It is time to dust ourselves off and move on to the next stage. Where Selfpublishing.com fall down on here is not explaining that the mark-up on print costs per copy takes into account set-up, which should not apply if an author provides print ready files. Selfpublishing.com suggests this should be a first port of call in an effort to educate the self-publishing author. Kremer is an exceptional knowledge base and deft hand in book marketing and you certainly will not go far wrong reading any of his books. John Kremer’s home might be nestled in Iowa cornfields, but his advice on book marketing comes straight from publishing’s epicenter. 1001 Ways to Market Your Books is a tome of biblical proportion, a 700-page “organized potpourri” of useful ideas, examples, tips, and suggestions. This book is for both authors and publishers alike, it includes 100 proven marketing tips. Now you can take a more active role in marketing your books! It is a hefty volume and at a hefty price. Did Selfpublishing.com do the printing??! To be fair, it is the kind of book that will earn you the cover price back many times over. Selfpublishing.com list a number of marketing services from web design, press releases, non bookstore direct sales, and storage and fulfilment. In-depth details can be found here. “THOR DISTRIBUTION is an inexpensive, low risk way to make your book available to virtually all the book wholesalers and retailers in the US as well as many in Western Europe. It is important here to emphasise the difference between a wholesaler and a distributor. Wholesalers hold and warehouse stock and ship book stocks when the book is ordered. Some wholesalers may provide raw print catalogues or data files of titles, even very basic descriptive catalogues of titles, but they are not intended as a sales tool—merely a listing. Sales, and the ability to promote, sell and pushing a title into a brick and mortar store is the job of a distributor—a company with a dedicated sales staff working on behalf, or on contract, to a publishing house(s). Some book distributors also specialise in different areas and genres of the publishing book industry—Academic & Educational, Outdoor Pursuits & Sports, Foreign Language or Self-Help/Medical etc. It is such an important part of the book business; the large publishing houses have their own in-house distribution teams to do this. Smaller independent distributors may handle a region, territory, or chosen list of publishers with common strategies or conglomerate affiliations. We now know who Selfpublishing.com is. We know Lightning Source is a global printer owned by Ingram Group, one of the largest US wholesalers of books. Enough said. Selfpublishing.com list their warehouse storage and book fulfilment program and charges here. There are Press Release services on Selfpublishing.com, but these seem to be all directed out to external PR Media online sources. OK. I have gone as far as I want to go. Selfpublishing.com say their services are for all authors, novice or experienced. I came across Selfpublishing.com about two and a half years ago. At that stage, I knew them as RJCommunications. I knew a lot less then, than I know now—and I have been researching all forms of the publishing industry for a great many years, both as a self-published author and a traditionally published author. Selfpublishing.com made me wary then of the business of self-publishing. They made me wary two years ago. I think the may still unnerve the first time author looking at self-publishing for the first time. I am not convinced the author with a limited understanding of self-publishing is actually going to be drawn in when they come upon Selfpublishing.com. That may be less Selfpublishing.com’s problem, but rather the visiting author. It’s simply my instinct and opinion, if correct, then it’s business lost, no matter how much information is provided, and that is one area Selfpublishing cannot be faulted on. The author is allowed to set their own retail book price and trade discount can be up to 50% to wholesalers. What I found most difficult for a perspective author, is the ability to quickly navigate the site because of the vast amount of information provided, and arrive at a ballpark figure for costing for a full book project. The time invested on the site may very well be worth it. The 100 unit limit on print orders may preclude many novice authors, and that is one case in point regarding my comments about some authors being wary of Selfpublishing.com at first investigation and call. Much on Selfpublishing.com is designed to be open to the new author contemplating the self-publishing path for the first time, and yet, I sense and have seen enough to suspect the novice author may be put them off, and instead, pursue a service like Lulu or CreateSpace. What you get, novice or dedicated self-published author with Selfpublishing.com is far beyond the information or cost saving you get at Lulu or Createspace when considering the purchase of multiple services. For me, Selfpublishing.com is author service shopping for the discerning author with some experience. You might say informed and shrewd shopping—a la carte—it may not be the place for the novice, but for the true self-publishing author, this company are a treasure trove of services. Selfpublishing.com is more for the serious-minded author who sees their self-publishing as a business, prepared to pay a little more on print costs under 400 units than they might get from Lightning Source, but with more services and flexibility offered. While Selfpublishing.com are no sales powerhouse with all the bells and whistles—crucially, they offer far greater support than Lulu and CreateSpace in addressing the real detail of the process of self-publishing a book. When you go to services like Lulu and CreateSpace, it is easy to feel the process of self-publishing is incredible easy—as easy as falling over. At Selfpublishing.com, the self-publishing author is quickly educated and the strengths and weaknesses of publishing are laid bare for them to see. The author might not like what they find out, but when you spend your own money, it is far better to be educated about the realities of self-publishing than remaining in the dark about what your money will buy you. I respect anyone in this industry, trying to run a business in difficult times, but is still prepared to risk inadvertently scaring off perspective customers with their honesty in an effort to educate them before taking their money. Selfpublishing.com is an exceptional and outstanding company. I felt they let themselves down in the one area they should never have let themselves down—print costs, and being clear on the administration print costs. The novice may never want to order 400+ copies of their book, but where Selfpublishing.com really comes into their own is for the author with print ready files and a specific menu of services they want to purchase within a set and budget and well-thought-out book project. It seems to me ironical the fact that you state that in your daily surveys of what commuters do during the hour long transit, no one is actually reading a book and yet you go to great lengths in order to help writers and authors to publish their books. What is then the alternative to a book? Please give me an answer, as I may have not read effectively your long set of instructions on this matter.